How does one find a fiber festival? How can one make the most of the time there? 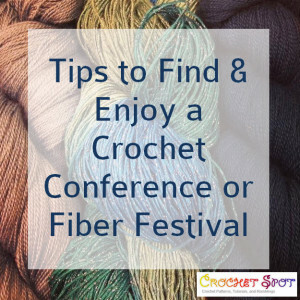 Read on for my (lengthy but nowhere near comprehensive) list of crochet conventions and fiber festivals and a few tips for saving money and enjoying the event!